Everyone goes about planning their trip differently. Some have a tried and true method involving guidebooks, map consultations and personal references – while others’ tried and true methods is not planning at all! Either way is good if it results in a good time – you might even learn something new along the way. For some though, the planning part is half the fun of traveling… or at least 1/4. There are so many resources available from websites to audio books to personal connections that you won’t have a problem finding one that meets your needs. Doing at least some basic planning before you depart can make the whole experience more enjoyable and run into the least amount of complications. Take a bit of time and plan what you want to see, in what order, what you can afford to spend and have some fun with it – you know it’s going to be a great time! Here are some great resources to check out to help you get those creative-planning juices flowing. Use just one or all of them for some great ideas and helpful insight. 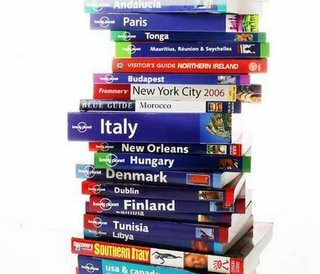 The old standard for the do-it-yourself traveler, travel guidebooks come in all forms for all types of travelers, budgets and destinations. Most of the companies that put these out have been in business for decades and have people in the field all the time to ensure the information you have is current and interesting. Best of all, these make handy traveling companions while you’re on the road to updated your itinerary and see what’s available if you decide to get spontaneous. Don’t forget about a specific country or cities tourism website, which is filled with helpful information about what there is to see and do in a destination. These are great resources to know current events but can be a bit on the biased side as they are out to promote travel to their country and may not be as honest as guidebooks or travel blogs. You can find many of these online for free download through services like iTunes or on travel related websites. The great thing about an audio book is how personal it feels to have someone read to you, in addition to the convenience of listening to it on your daily commute – it’s a great source of entertainment too! Not to be too biased, but travel blogs by your average ordinary traveller are great to get information on an area often not covered by your typical mainstream source. There are blogs for every type of traveller and each site has its own feel – some are more on commentary while others are more substance-filled. Find one that you like, trust and use it to check out sites recommended by regular people just like you!